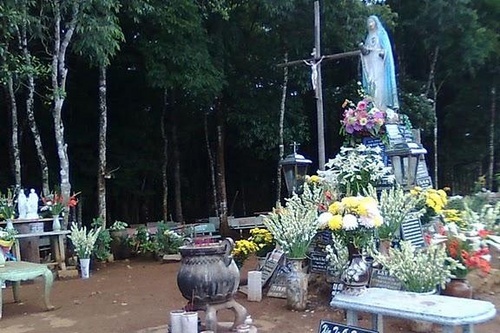 Statue of Our Blessed Mother in Mang Den is located in Kon Plong district, 50 kilometers away from Kon Tum City. The one-meter-high statue was erected in 1971 and then many local Catholics and soldiers came here to pray. 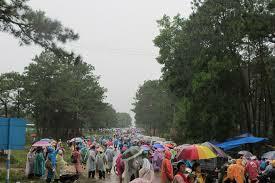 Due to war, fewer people went to the area and the statue was covered by trees and forgotten until 1980. 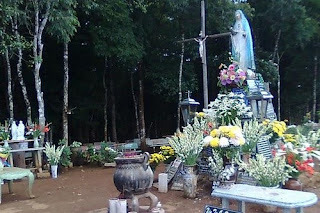 In 2006, Bishop Michael Hoàng Đức Oanh of Kontum and some priests went to the site and saw that statue had lost hands. The Bishop wanted the place to be a Marian pilgrim center. 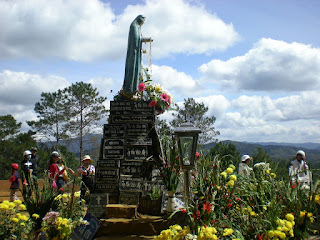 Since then more and more people visit and pray in front of the statue.